I just wanted to take a minute to share a free Valentine’s printable that I think is absolutely adorable AND affordable! I’m a big fan of Valentine’s that you can give with something other than candy, because as much as I love chocolates and sweets, I find Andrew gets an insane amount of sweets at every holiday. 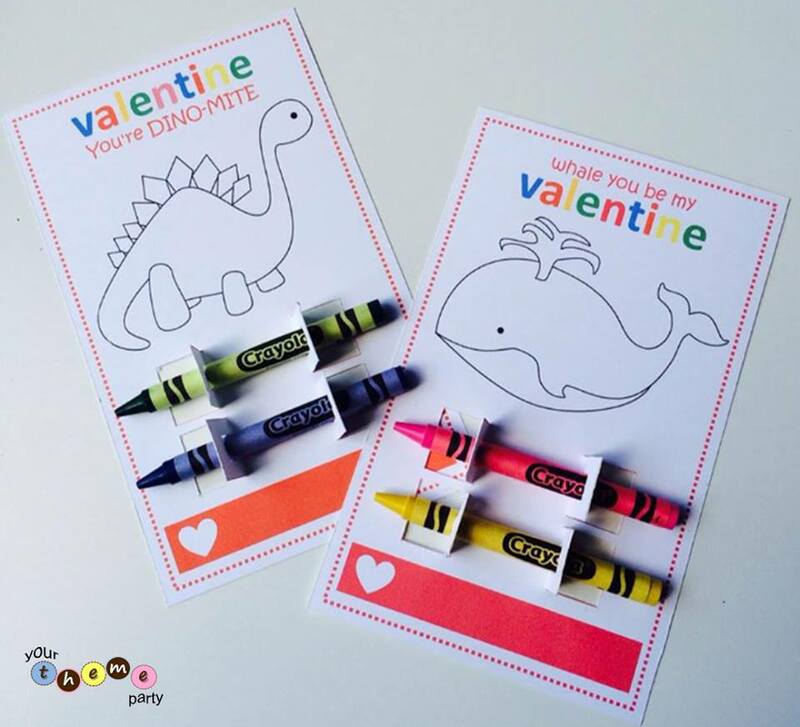 These cute little Valentine’s come with crayons and a colouring page. Big win! All you need is a printer, an X-acto, crayons, and a ruler. It’s from a cute little website called Your Theme Party, which has tons of other free party printables. You can download the printable here. You’ll need a bit of time to do all the cutting, but I think it’s totally worth it in the end! You can check out Your Theme Party for other ideas on their website, Facebook, Pinterest, and Twitter. Happy happy love day everyone! This entry was posted in DIY and tagged diy, free printable, Valentine, Valentine's Day.